The word Scissors isn’t a new word for us, it is perhaps the most common utensil used for cutting in household. So what does Surgical Instrument mean to a surgeon? The Surgical Scissors serves as the cutting instrument in operation theaters as well but the nature of the work is more challenging and artistic. The word Scissors is derived from an old French word cisoires which means to cut. At first the scissors were tongs like instrument with a proximal joint. Now the scissors have ring handles and two blades which over ride each other as they cut. The blades may be curved or straight. The tip of the blades may be blunt or sharp. Depending upon the characteristic of the tip there are three combinations of the scissors available: Sharp/Sharp, Sharp/Blunt, Blunt/Blunt. The scissors may have serrations in one blade which ensure that the tissue does not slip. The knife-edge blades of the scissors give it precision and sharpness and such scissors are known as ‘super cut’ or ‘microgrind’. The ring handles are black colored which distinguish it from other scissors. The scissors are made up of stain less steel. Most expensive ones have tungsten carbide in addition. Since scissors is used for cutting and it isn’t meant to cut anything but tissue, precision and accuracy are of prime most importance. Tungsten carbide is more durable than the stainless steel; hence the scissors remains sharp for a longer period of time as compared to ordinary stainless steel scissors. They are identified by their golden colored ring handles. 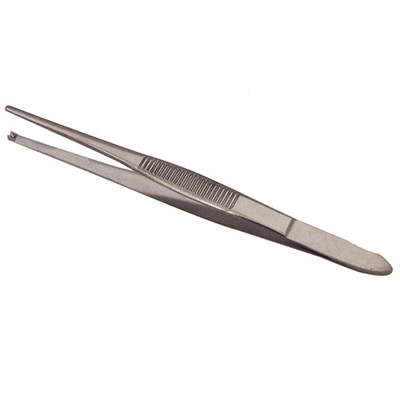 Surgical Scissors are available in a large variety and the choice depends upon the surgeon’s preference and the tissue on which the surgeon is working on. The short scissors are picked up by the surgeons when they have to cut the surface i.e. 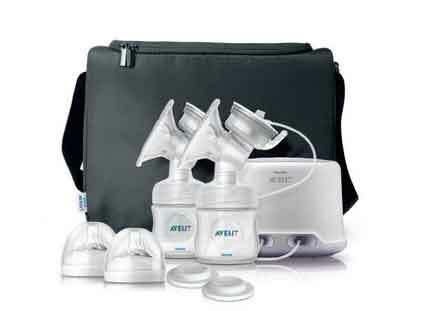 skin, fascia etc. The Curved scissors are the instrument of choice when dissecting tissues. The curve of the scissors enables the surgeon to visualize the structure he is cutting. The long scissors are usually used when deep dissection is needed, in case of pelvis and thorax. The scissors are classified in many ways. 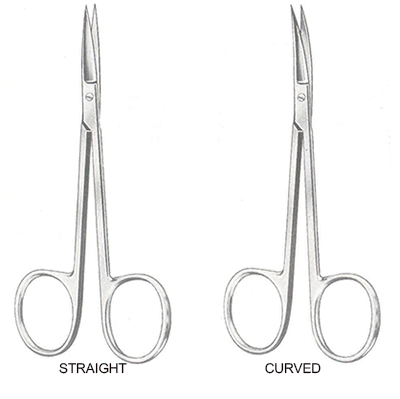 Straight Scissors: They are very useful in cutting tough structures. Angled-On-Edge Scissors: These are used when the structures needed to be cut are in oblique direction. Curved-On -Flat Scissors: These scissors are used when working space is restricted. The use of these scissors is apparent by their names. 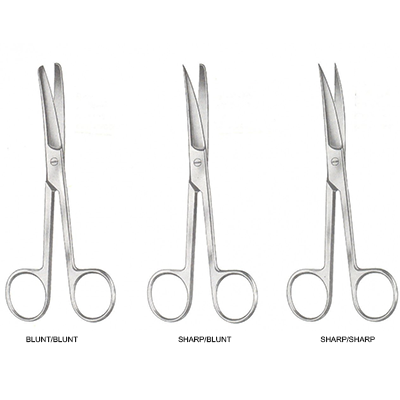 The size of the surgical scissors ranges from 2 inches to 12 inches. 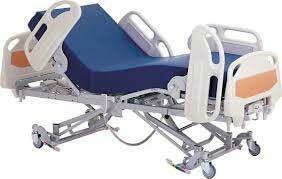 The instrument occupies every single surgical tray in operation theatres. It is usually autoclaved but the edges become blunt with repeated sterilization and is needed to be replaced.